It was time for dinner and I rushed to the kitchen, asking mom if the food was ready. I was more impatient than ever. Why wouldn’t I be? I had asked mom to make my favorite dish, Chicken Masala. Once the chicken enters her territory (read kitchen), that culinary art subdued within her is triggered. She begins with washing the chicken, skillfully assorting the varied spices, mixing them well in the correct proportion and providing the ideal amount of heat to it. As I see it coming my way, the smell itself is enough to give me a high. It’s now being served and the eyes solicit me to devour it while the mouth is busy anticipating its taste. Finally, a piece goes in and I all that I can utter in that state of rapture is, “Ah! What a delight”. Now imagine if we could cook life as flawlessly as my mom cooked that chicken. If we could somehow find those secret ingredients, mix them in the accurate proportion using the most ideal conditions; won’t the result be equivalent to that of savoring a delicious treat? Yes indeed, only more powerful and finely tuned I assume. The mystery lies in finding those ingredients that would make life palatable for each one of us. It’s simple. Just like in the world of cooking, I figured, life also has three main elements that is Salt, Pepper & Sugar. All you need to do is put on an apron, a chef’s hat and place life in a hot pan filled with those mixed ingredients. The tricky part is to find this trio and make its best use. Salt, Pepper and Sugar here is the presence of those three significant people whom each one of us needs to cook a great life. We all know that a dish without salt is like a pen without ink. It obviously is the most fundamental element. When it comes to life, Salt is the person who has to keep showing up so that you survive all the way till the end. That person is your absolute necessity. Each one of us radiates unique frequencies. There is always an antenna available in your surrounding that catches and records it. Salt is the one that carries the antenna. When you talk to them, you are amazed at the level of connection that is sparked in the air between you two. Late at 4am, when terrible thoughts hover above you and pour rain, this is the one ingredient which protects you. They listen to you patiently; provide you the warmth of support and you don’t need to fear about judgment too. That intense level of understanding leaves no scope for conflict. You either keep coming back to them or they keep showing up. Salt might not be able to teach you many values as you both have almost the same ideologies, their role is just to keep mending you each time you are in pieces. They make you an extension of their own self and would easily push boundaries in order to protect you from those who intimidate. Without Salt, it would be awfully difficult to find those precious moments of peace in this increasingly complex world. But take note that you refrain from sprinkling too much of it because then it loses its charm, leading to a life that is built only on one perspective. Like they say, add salt according to taste. 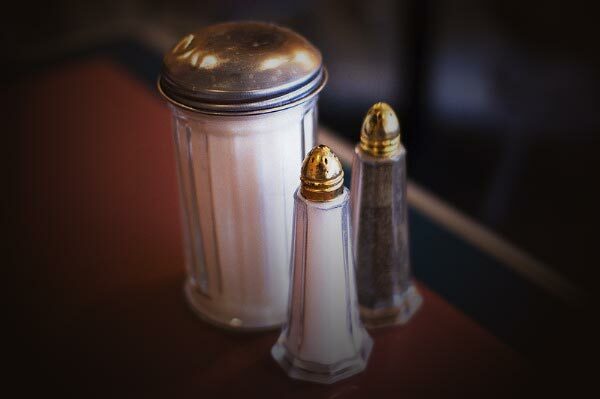 Be it at our home dining table or an eatery, you will always find pepper standing next to salt. But how many of us actually use it? Not many, I reckon. Not adding pepper doesn’t make food any less appetizing but when we do sprinkle it, the flavor reaches to a new level of culinary delight. In other words, it acts as a catalyst. Similarly, in life too we find Pepper doing that same job. This is the person that holds the mirror in front of you, unlike Salt that holds the antenna. Instead of connection, admiration is the end result here. Both of you stand at the edge of two extremes and keep bombarding each other with your own perspectives. They consume you and fill you simultaneously by shattering your little predefined world. This may sound disastrous, but actually it’s not. It’s a catalyst which binds you both together despite the prominent differences. So what they smash your belief, make you highly vulnerable and open the locked doors of addiction but on the other hand, Pepper gives you a new outlook towards life. They keep knocking you down and picking you up until the day you’ve learnt to stand up on your own. When you break down and look for support, they might not successfully comfort you but instead they’ll show you the difficult path that holds the destination of permanent healing. It is not for your survival that you need Pepper; you’re required to keep them around in order to undergo transformation and experience revelation. Yes, at times there is a strong urge to toss a stone at the mirror they hold before you, but no sooner you pick up the stone, you accidently gaze at your own reflection, wonder and accept the fact that you need to transform. Therefore, you are neither able to destroy the mirror nor painfully keep gazing at it forever. You both rejoice in being stuck until you are finally reinvented. So, unlike the oblivious people who choose to sprinkle only traditional salt over their feast, pick up pepper too and make it even more thrilling. Doesn’t the slight sugary taste in a spicy dish add an edge to its complete flavor? It is the surprise element that rejuvenates your taste buds and pumps pleasure in your veins. It’s not hard to guess who would be termed as Sugar when it comes to life. We all know one person who remains happy no matter how hard the situation gets for you or them. If not for real, they are shockingly good pretenders of leading a fulfilled life. That is Sugar. They are a bundle of joy that brightens up your frame of mind with every interaction. It doesn’t matter if years have passed without any sort of contact. Once you are around them, everything is vivid, dynamic and enthralling in the world. There are so many exciting layers to their life that you stay active and entertained all throughout. Surprising you with their mantras of happiness and eventually pulling you inside the world that lives ‘for the moment’ are their favorite tricks. You might not be around them but only their thought in the dark gloominess sparks your soul and manages to draw a huge grin on your face. That is how vibrant and charming they are. Their intentions are neither to provide you continuous support like Salt nor to show you the path of transformation like Pepper. All that they are there for is to blow some glitter on your face so that you are surprised at their audacity to stay happy. Of course you can’t consume sugar everyday as it has its own hazards. Just when you need to break free from the customary Salt and Pepper, use Sugar once in a while as it’s enough to keep you energized for a pretty long time. In the kitchen of life, we all have our own personalized jars of Salt, Pepper & Sugar. It’s time to bring them out, realize their potential and figure out the right proportion. Once you’ve done that, the fluctuating heat of circumstances will blend them together suitably and put Life served hot on your plate to dig in and relish. About the writer: I'm a writer(sometimes a photographer) who weaves her lifestyle around curiosities of all sorts. That natural affinity towards creativity, music, advertising, abstractions & globalization is what keeps me going.